Wondering what market research is all about? Basically, market research is the process whereby businesses solicit feedback from the public about their products and services. They like to do this for many different reasons, including times when they’re considering releasing a new product or redesigning an existing one. Panelists are members of the public who register to participate in surveys, focus groups, product testing and other forms of research. In consideration of their time and feedback they are rewarded with cash and/or prizes. Companies have many employees working for them in product design and marketing. But no matter how amazing they believe their new product to be, the company still wants to make sure the investment of producing it is worth it. There’s no point in producing something new that no one is interested in buying. This is where market research comes in. Market Research companies usually have international branches and recruit panelists from around the world. So today they are able to receive feedback on their products and services from many demographics all at once, thanks to the power of the Internet and online surveys. It is also rewarding for the consumers taking part in the paid market research. Knowing that your feedback and opinions are taken seriously and may shape future product development is reason enough that many people choose to take part. 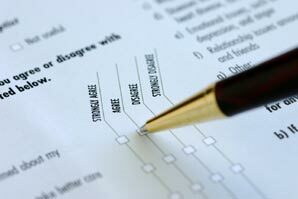 After submitting a completed online survey the panelist will earn reward points. These points are automatically deposited into their account located within the survey company’s website, and after a minimum balance is accumulated the points can be exchanged for any number of prizes. Now that almost everyone has an email account and is proficient at using the Internet, prize delivery is also quicker and easier. For those who exchange their points for cash, the most popular method of payment nowadays is through PayPal. Getting a PayPal account is easy, and once set up it offers great security as the only information the market company needs to issue payment is the email address associated with the account. Other prizes such as gift certificates can also be sent electronically and used at online stores. This cuts down considerably on wait times for rewards. Find out which survey sites offer payment via PayPal. The reason panelists are paid in points rather than cash is due to the fact that market researchers are getting opinions from consumers worldwide, and since they want to pay everyone fairly they offer a point system. Using currency can be unfair due to exchange rates rising and falling every day. Market research companies want to make sure that everyone filling out the same survey, no matter where they live, are rewarded equally. Market Research is not a new process. Companies have always wanted to know how to improve their products and asking the public directly has been the simplest way. In the past, researchers conducted surveys by going door-to-door, by postal mail and by telephone. Some of these methods are still used today, along with other methods such as at-home product testing and focus groups. A focus group is a gathering of consumers at a testing facility or meeting room where researchers can meet them and are able to receive live opinions from the group. These live sessions tend to pay higher than online surveys due to the extra effort required from participants, such as commuting to the facility and booking a specific testing time. If you’re looking to take online surveys, start with our Surveys Worksheet to get connected with legitimate market research survey sites currently recruiting Canadians.